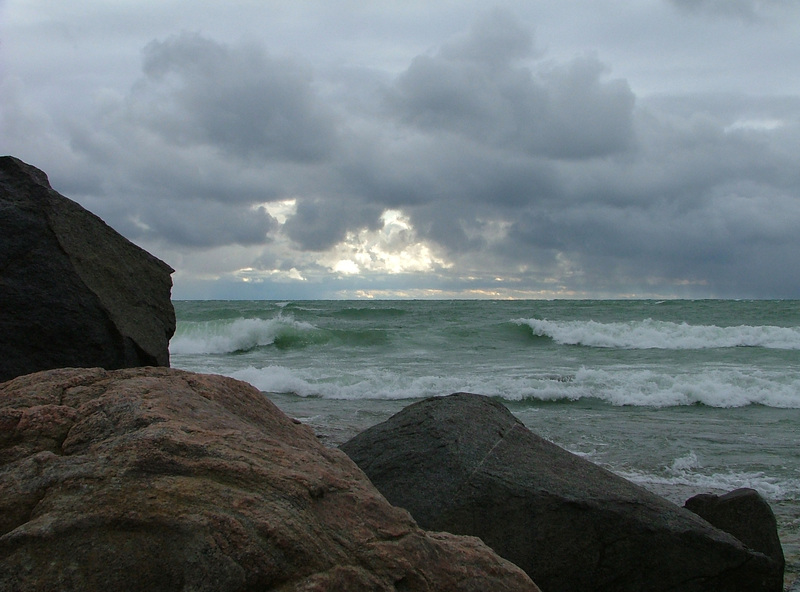 As the new site’s subtitle suggests – “the view from where I live” – it will still represent my work, but now it’s spectrum is broader, especially on the blog. As my work does, it will range far and wide. “The difference now is that that these largely informal but widespread social attitudes to the colonised have now found themselves back in power. Drunk with their newfound freedom, coming out of the shadows with no need to hide themselves any longer, free from the tyranny of worrying about ‘world public opinion’, they are out celebrating and feasting, politicians outdoing one another acting out and giving life to their most depraved, murderous fantasies. And they are out-of-control. “Please do not make the mistake of thinking that these feelings and urges belong to a lunatic fringe. They do not. They are supported by the majority of Israeli Jews and as Phil rightly says, they are led from the front by top politicians. These politicians are now changing the legal system to create an environment that fits these attitudes better and where they can be unleashed legally, and thrive. “Israel has always been mad and bad. How could it not be when it is based on a fearful, traumatised, paranoid, settler-colonialist culture with a sense of eternal entitlement, and when it is built on the ruins of the indigenous culture it has worked so hard to eliminate? Israel has always done bad things, terrible things. Ask the Palestinians, the asylum seekers, the poor, women… But previously things were done in secret. When Israel was young and poor and needed the world, it was keen to present an image of legality, reason, refinement, intellect and democracy to fit with the Western world it so wanted to be a part of. What was always right under a thin veneer, but that almost every Israeli Jew knew and supported, is now brought out into the open. Israel is simply leading itself and its culture to its logical conclusion. “What is happening now was always inevitable. It is the next logical step. It is impossible to sustain a split reality of a civilised, legally-minded, educated, cultured, refined, enlightened society while colonialism continues to rage with its atrocities and injustices. Enlightenment can only truly exist on a foundation of justice and freedom. Anything else is self-serving and short-lived nonsense. 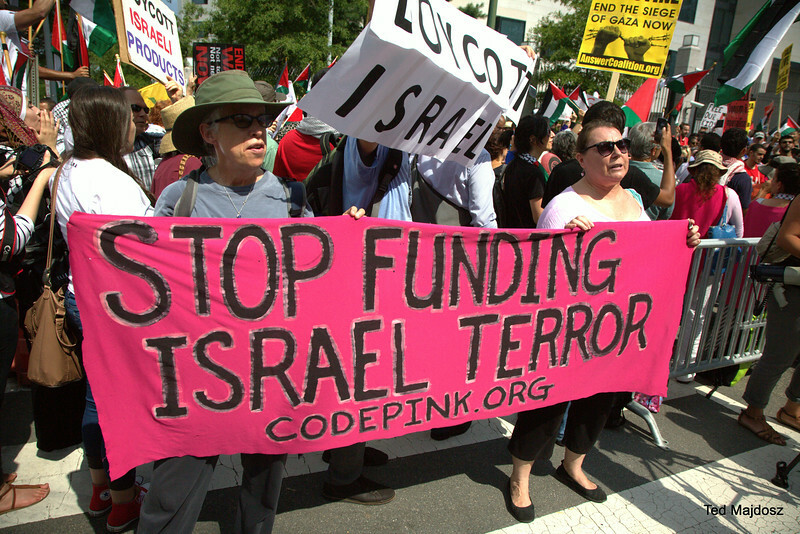 Most Israeli academics not only support their regime, they benefit from it. Watch the majority of them say nothing about these new developments. “As ugly and as dangerous as these developments are, it is a good thing that the truth is finally coming out. Israel should have never been supported in the first place, but it’ll be increasingly harder for anyone to continue to support a country that is following the path Israel does now. Like all sick societies, Israel is its own biggest enemy and it feels invincible, justified and does not give a damn about what others think about it. This is a lethal cocktail. “I never trusted that country. I was always terrified of it becoming truly and openly fascist. As a woman I never liked the way religion has played such a central role in Israeli society, and was always worried that it would eventually take over completely. I always felt oppressed by the atmosphere of suspicion and harshness and the obsession with ‘security’ and control, which has tragically infected the entire Western world. 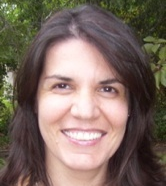 Avigail Abarbanel was born and raised in Israel. She moved to Australia in 1991 and now lives in Scotland. She works as a psychotherapist in private practice and is an activist for Palestinian rights. She is the editor of Beyond Tribal Loyalties: Personal Stories of Jewish Peace Activists (Cambridge Scholars Publishing, 2012). 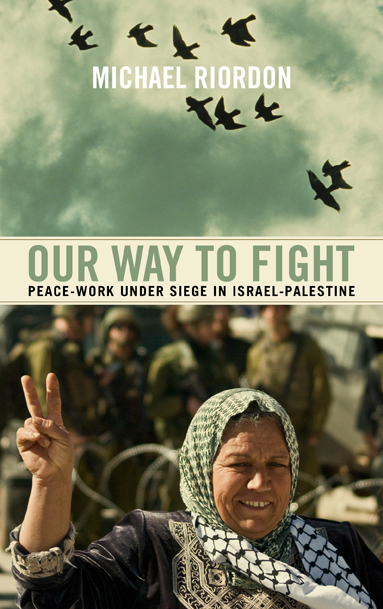 As the Israeli attack on Gaza and the suffocating military occupation of the West Bank grind on, and resistance continues on both sides of the apartheid wall, Canadian publisher Between the Lines is featuring Witness, a chapter from Our Way to Fight: peace-work under siege in Israel-Palestine, on the front page of their website. For free download, here: http://btlbooks.com/files/Riordon_ch_5s.pdf. United Nations Secretary-General Ban Ki-moon is notoriously fearful of scolding Israel, even as it commits overt war crimes. But he was sufficiently shocked by Israel’s August 3 bombing of a UN-run school in Gaza (the 6th attack by Israel on a Gaza school) to call it a “moral outrage and a criminal act”. He confirmed that Israel had been “repeatedly informed of the location of these sites.” UN schools are designated safe areas for people fleeing Israeli attacks. An estimated 10 people died in the latest school bombing. Calling the attack a “gross violation of international humanitarian law,” the UN Secretary General demanded that those responsible be held to account. More detail here. “These killings are part of a broader set of inhuman acts by Israel constituting international crimes, carried out by Israel over many years, going back to at least 1947 and 1948. They include crimes that aren’t talked about that much in the media or the press, the crimes of genocide, crimes against humanity, and apartheid. 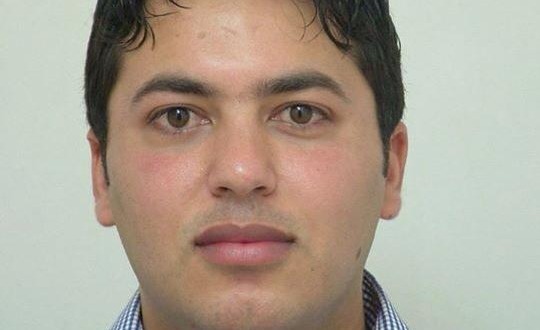 These crimes can be prosecuted in the International Criminal Court.” The interview is here. All attempts to prosecute Israel for war crimes have been blocked for decades, primarily by the United States, to ensure that Israel enjoys the same blanket impunity from international law that the US assumes for itself. 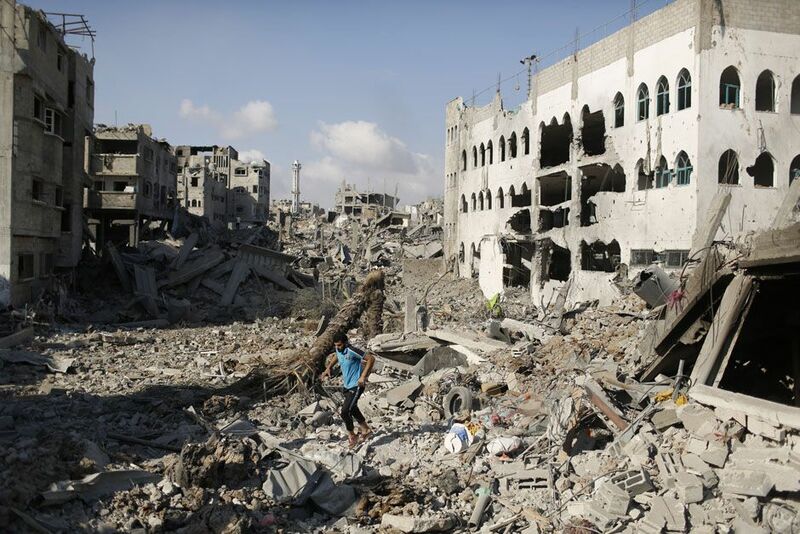 After Israel’s 2014 invasion of Gaza, the same could happen again. And again. “In my opinion, the resistance is just a temporary phenomenon to achieve particular goals: to end the blockade and allow Palestinians to live in freedom and dignity in a state of their own.” – Nour Omar Shaban, 16 years old, Gaza, August 2, 2014. “When the current attacks are called off, Israel hopes to be free to pursue its criminal policies in the occupied territories without interference, and with the U.S. support it has enjoyed in the past.” – Noam Chomsky, 86 years old, Lexington, Massachusetts, August 3, 2014. 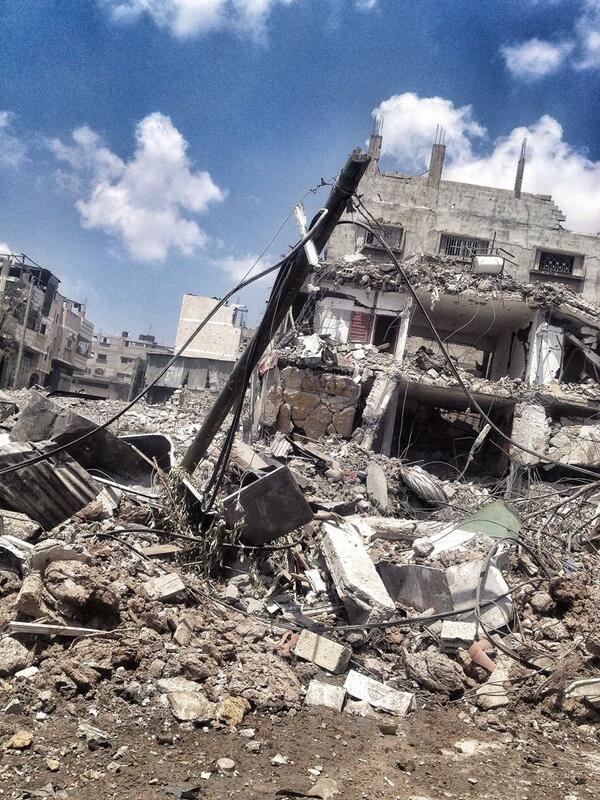 Under Israel bombs, Gaza City, July 2014. 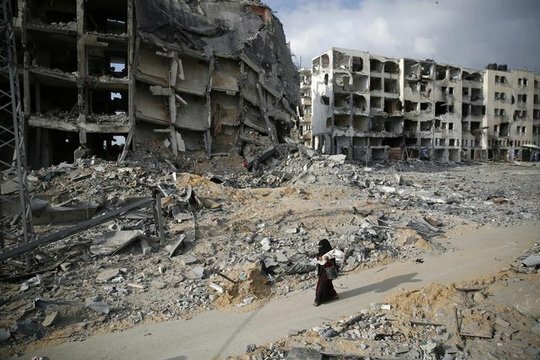 From a young Gazan: http://readersupportednews.org/opinion2/277-75/25118-war-and-peace-the-youth-of-gaza. 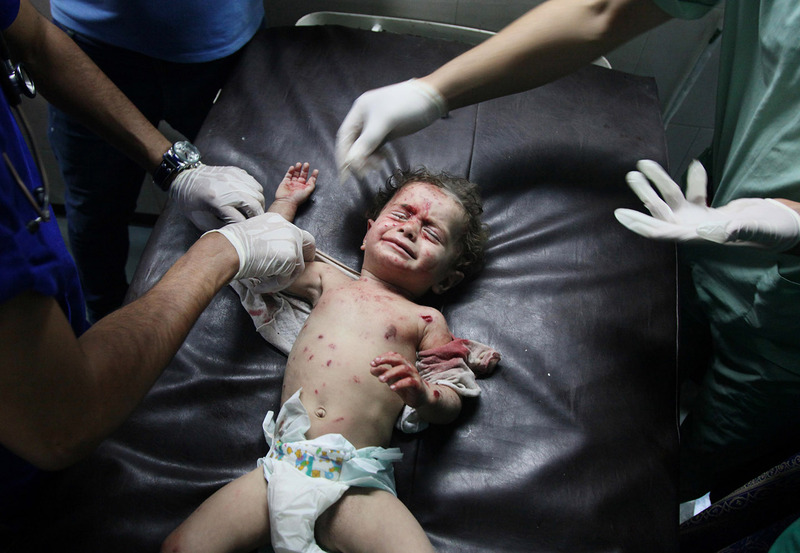 From the venerable Noam Chomsky: http://www.truth-out.org/opinion/item/25343-noam-chomsky-|-nightmare-in-gaza. Israel’s war crimes will only end when its illegal occupation of Palestine is stopped. The occupation will only stop when it becomes impossible for Israel to sustain it. 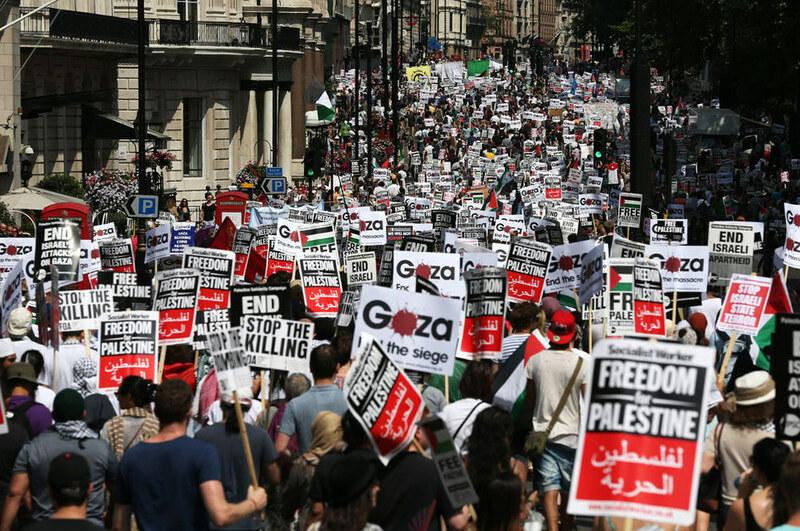 For now, the only effective lever we have to end the occupation is the ever-growing international movement for boycott, divestment and sanctions. A letter from Mads Gilbert, Norwegian emergency room doctor, at the Shifa Hospital in Gaza, July 19, 2014. Via Mondoweiss. 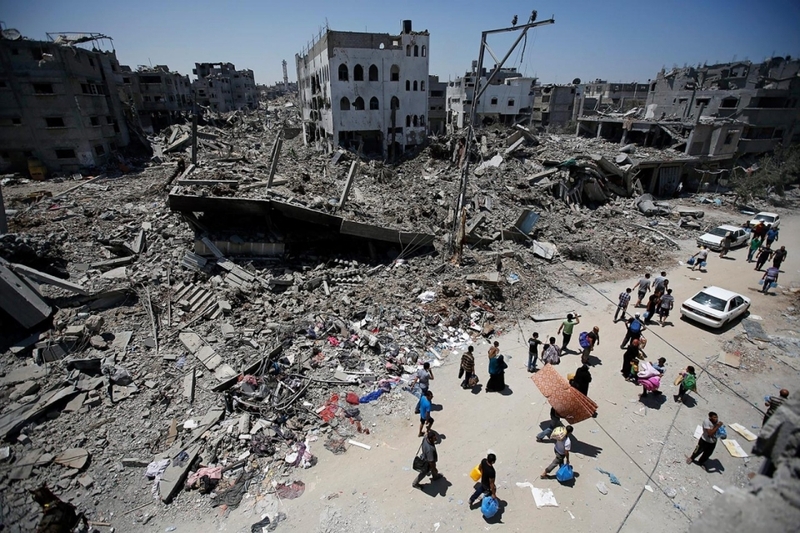 Gaza City neighborhood of Shuja’iyeh, after July 19 Israeli air and ground assault. The heroes in the ambulances and in all of Gaza’s hospitals are working 12-24 hour shifts, grey from fatigue and inhuman workloads (without payment, all in Shifa for the last 4 months), they care, triage, try to understand the incomprehensible chaos of bodies, sizes, limbs, walking, not walking, breathing, not breathing, bleeding, not bleeding humans. HUMANS! My respect for the wounded is endless, in their contained determination in the midst of pain, agony and shock; my admiration for the staff and volunteers is endless, my closeness to the Palestinian “sumud” [endurance, steadfastness] gives me strength, although in glimpses I just want to scream, hold someone tight, cry, smell the skin and hair of the warm child, covered in blood, protect ourselves in an endless embrace – but we cannot afford that, nor can they. Ashy grey faces – Oh NO! not one more load of tens of maimed and bleeding, we still have lakes of blood on the floor in the ER, piles of dripping, blood-soaked bandages to clear out – the cleaners, everywhere, swiftly shovelling the blood and discarded tissues, hair, clothes, cannulas – the leftovers from death – all taken away…to be prepared again, to be repeated all over. More then 100 cases came to Shifa last 24 hours. Enough for a large well trained hospital with everything, but here – almost nothing: electricity, water, disposables, drugs, OR-tables, instruments, monitors – all rusted and as if taken from museums of yesterday’s hospitals. But they do not complain, these heroes. They get on with it, like warriors, head on, enormously resolute. 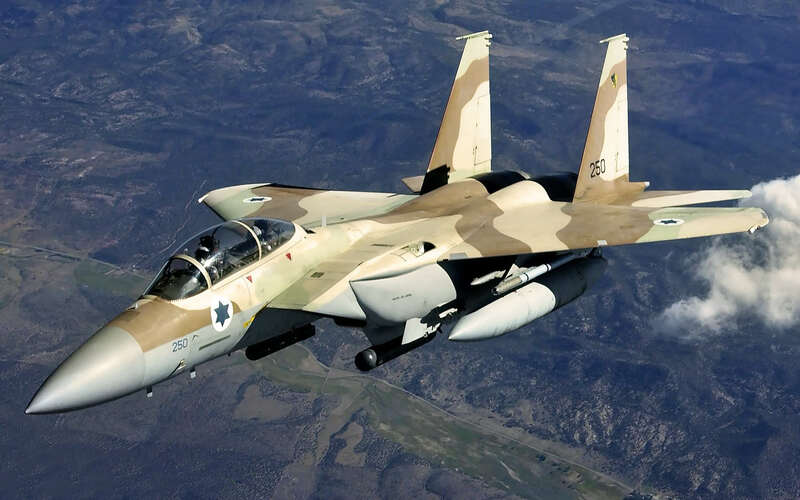 And then, just now, the orchestra of the Israeli war-machine starts its gruesome symphony again, just now: salvos of artillery from the navy boats just down on the shores, the roaring F16s, the sickening drones (Arabic ‘Zennanis’, the hummers), and the clattering Apaches [assault helicopters]. So much made and paid in and by the US. I invite you – spend one night – just one night – with us in Shifa. Disguised as a cleaner, maybe. I am convinced, 100%, it would change history. 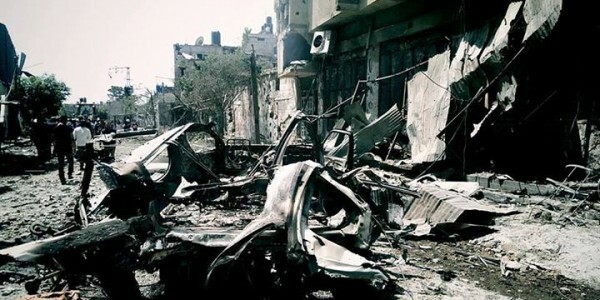 But the heartless and merciless have done their calculations and planned another “dahyia” assault on Gaza. [Dahyia: an Israeli military doctrine in which the army deliberately targets civilian infrastructure, as a means of inducing suffering for the civilian population]. Mads Gilbert volunteers in Gaza. He is Professor and Clinical Head, the Clinic of Emergency Medicine, at the University Hospital of North Norway, in Tromsø, Norway. July 17, Day 10 of the Israeli military assault continues against Gaza, the world’s largest prison. 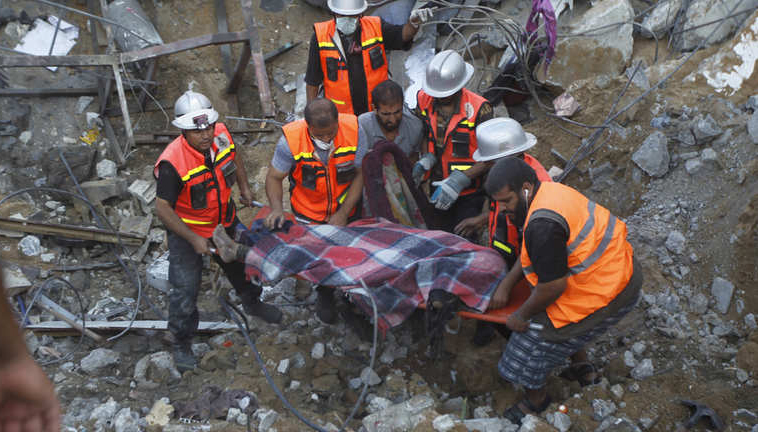 Palestinians killed: 211, including 179 civilians, 32 of them women, 45 of them children. 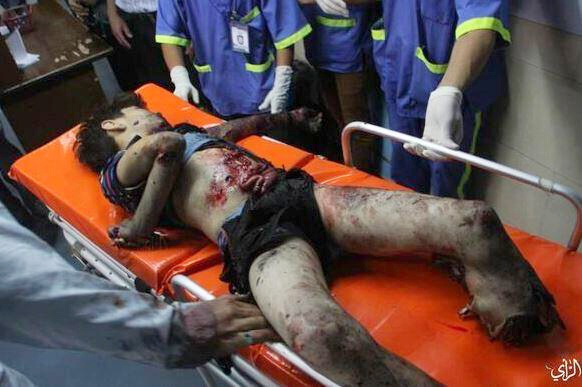 Palestinians wounded: 1458, mostly civilians, including 253 women, 432 children. Source: Palestinian Centre for Human Rights, Gaza, which has a good reputation for accuracy. Many of us feel enraged but helpless in the face of Israel’s war crimes, and the active complicity of elected governments across Europe and North America. The rage is justified, but we are not helpless. There is something we can do. 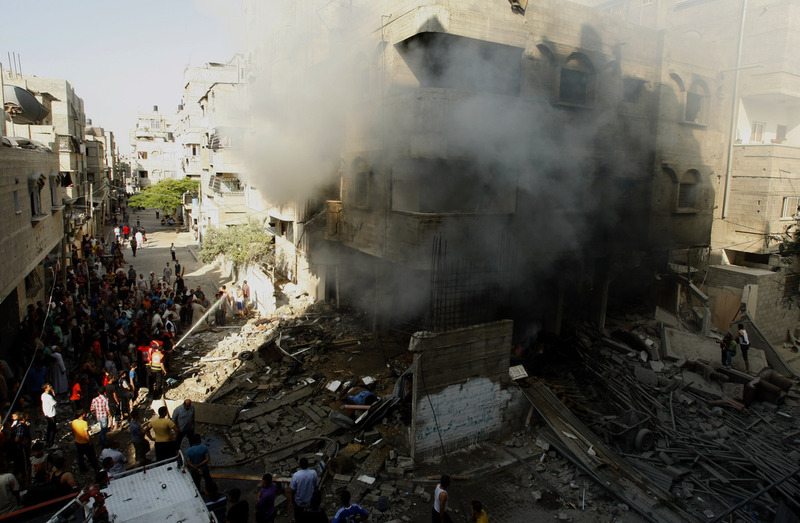 Read the full call from inside Gaza here. 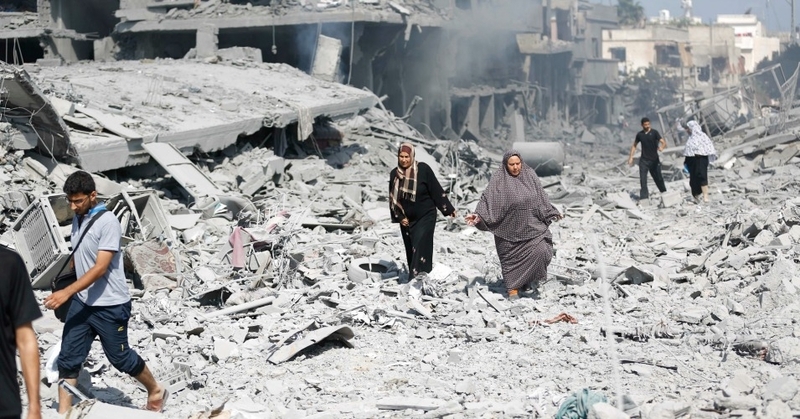 Here are 9 ways to support Gaza.